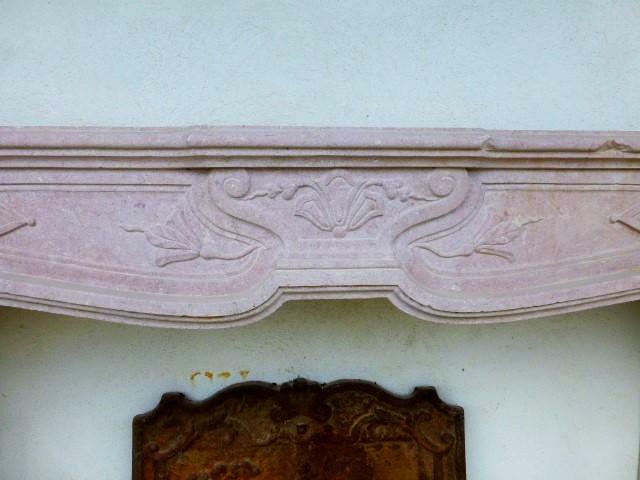 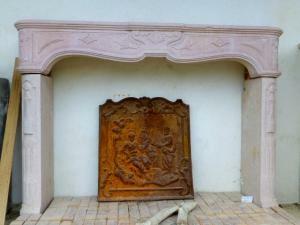 Beautiful hand carved fireplace Burgundy stone. 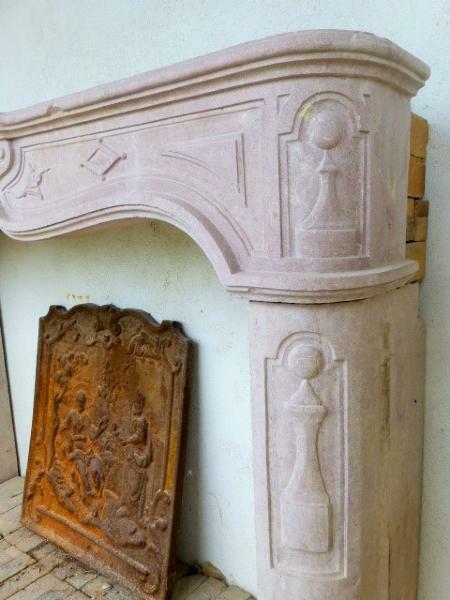 The pink color of the stone, beautiful geometric designs and a floral frieze on the cross makes this product very elegant. A little part broken presents on the crossbar but can be repaired before the delivery. 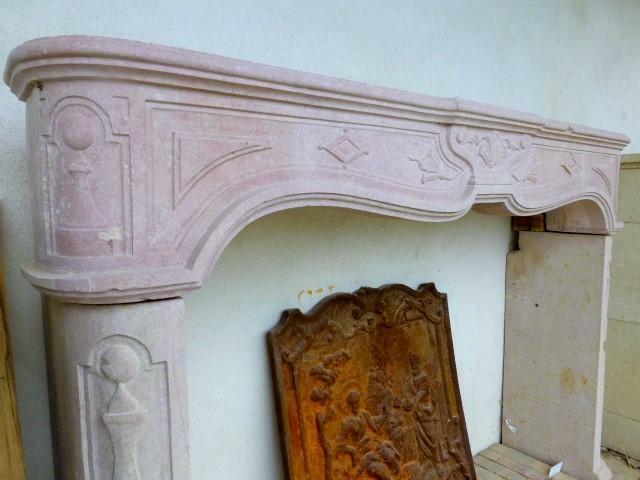 This fireplace adds a lot of style to your home.